This was a nice little appetizer for night out at winery concert. Summer is officially over but we’re still having warm (hot) days here in Texas. On an evening out at a local winery to hear a 60’s/70’s group play I made some homemade White Bean Hummus to go with vegetables and some Naan I picked up at the market. (I’ve made before but didn’t want to go to the trouble.). I packed a bunch of cheeses from Trader Joe’s, some crackers and we bought wine there. 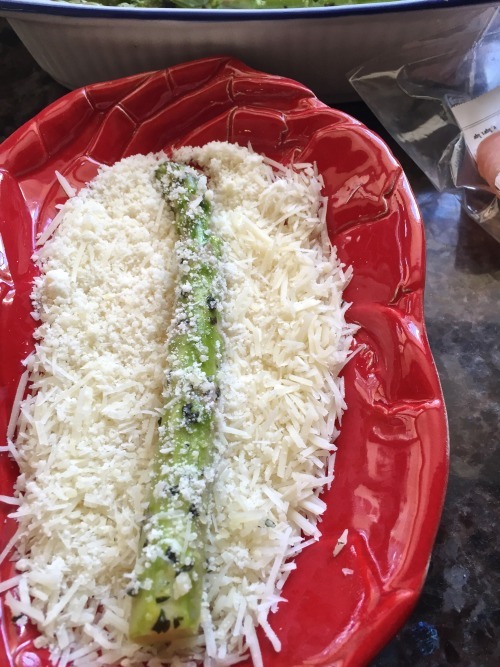 I thought these little (or big fat) asparagus spears would make the perfect finger food to go with the cheese. 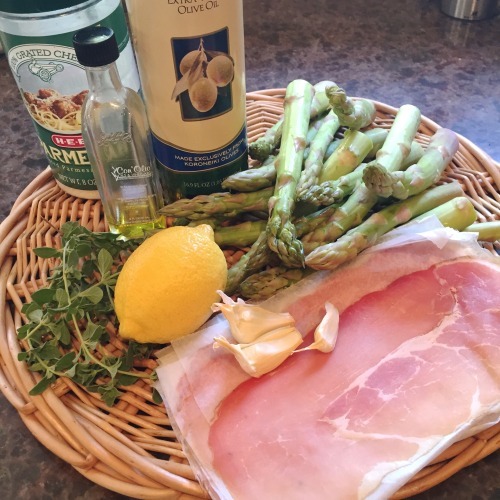 I’m always looking for different recipes that pack easy for eating outside or on the go. Do you have any favorites? I remember vacations with our grandparents and how my grandmother would always fry the chicken and pack it in a shoe box lined with aluminum foil then put it in an old red Coke cooler for our trip and we would always stop at a road side table to eat. I can’t say I’ve seen anyone do that in quite a few years. Maybe, I’m just not looking. After you have cut off the lower part of the asparagus, use a peeler to peel the lower 1″ or so of the asparagus. This will help make it more tender. 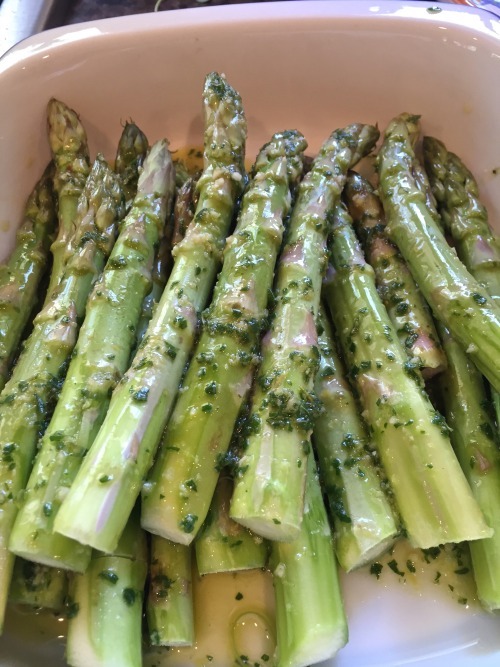 Pour the dressing over the asparagus, cover and keep at room temperature for 2-6 hours. 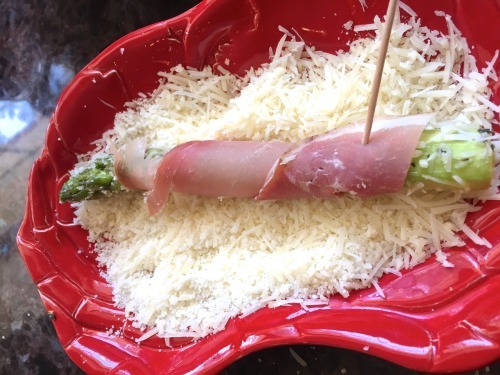 Take a spear of asparagus out of the marinade and roll in the parmesan cheese. Split the prosciutto in half lengthwise and roll around the spear. I secured with a toothpick so it wouldn’t unwind. After they cook you can remove the picks. 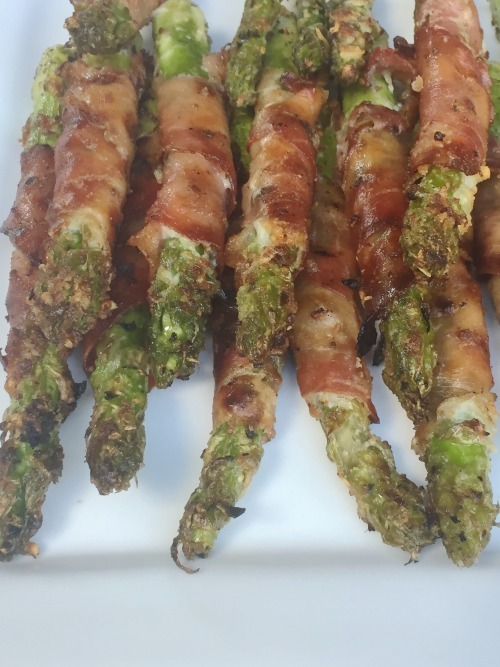 This is a delicious appetizer or side to go with any meal. 24 slices prosciutto (I used half that amount and cut in half. 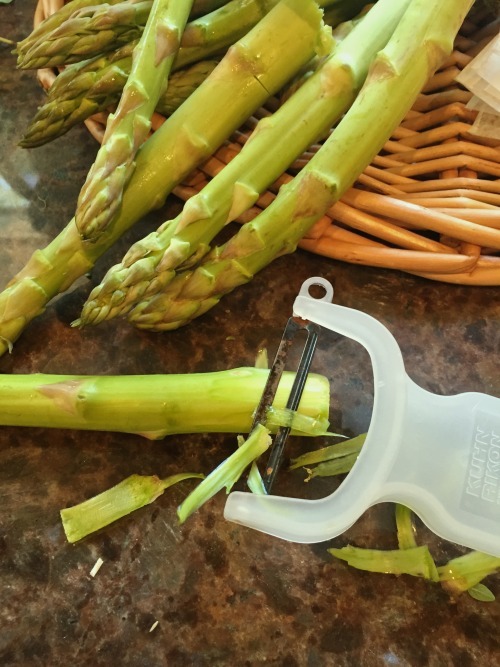 Snap off a few inches of the bottom, woody ends of the stalks and place the asparagus in a gallon zipper seal bag or small dish. In a small food processor, blend oil, lemon zest, garlic and oregano until an oily paste forms. (Mine did not form a paste.) Pour this mixture in the bag or dish with the asparagus and seal or cover with plastic wrap. Marinate for one to six hours at room temperature. Turn bag a few times so all of the asparagus get coated or if using a dish, turn the asparagus to keep coated. Heat grill to medium or you could do in hot oven or under broiler for a few minutes just until prosciutto starts to brown nicely. I didn't change anything in this recipe other than adding a little of my lemon infused oil with the olive oil. 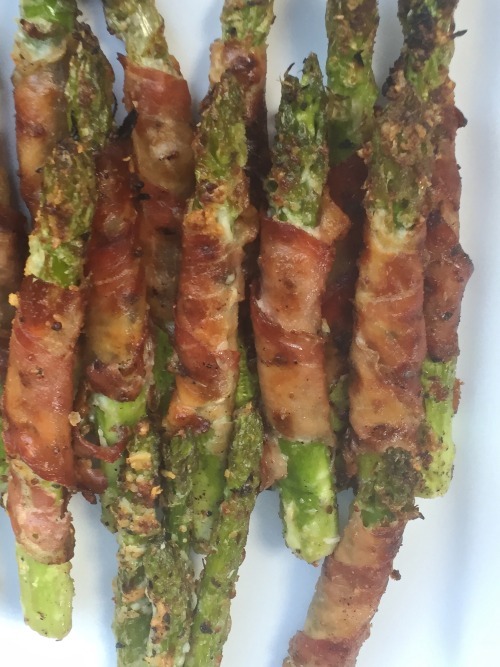 I made mine asparagus wraps to take to an outdoor concert to be served with some hummus and cheeses.